The CRJ550 aircraft is claimed to be the first triple-class 50-seat aircraft in the world. Credit: © Bombardier. Bombardier Commercial Aircraft has launched the new CRJ550 aircraft, pitching it as a replacement to the existing fleet of ageing 50-seaters. According to Bombardier, the CRJ550 is the first triple-class 50-seat aircraft in the world and based on the existing CRJ700. The company has signed United Airlines as the launch customer of the new CRJ Series aircraft model. 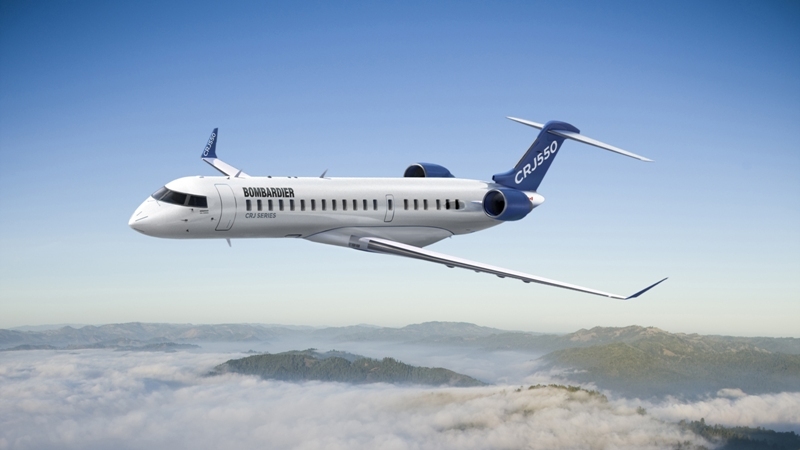 Bombardier Commercial Aircraft president Fred Cromer said: “The new CRJ550 model is the only solution in North America that can replace the existing fleet of ageing 50-seaters, a market of over 700 aircraft. The CRJ550 is designed to offer more overall legroom per seat when compared with existing 50-seat aircraft flown by any US carrier, noted Bombardier. The CRJ550 will provide a 99.5% proven dispatch reliability and offer other benefits such as the elimination of gate check bags, and providing connectivity. United Airlines stated that customers flying the new aircraft on key regional routes will be offered more legroom, storage and amenities. The aircraft will feature LED lighting and a self-serve beverage and snack station for passengers seated in the premium cabin. Subject to government approval, the airline plans to introduce 50 Bombardier CRJ 550 aircraft to its regional fleet by the end of this year. In a separate development, Bombardier finalised a $437m agreement to sell nine CRJ900 aircraft to Chorus Aviation. The CRJ900 aircraft will be operated by Chorus Aviation’s subsidiary Jazz Aviation under the Air Canada Express banner in a dual-class cabin configuration with 76 seats.